Use this handy tool, 36 inches wide, to skim algae, leaves, and all other types of floating debris from your water. Engineered tough, this floating surface rake comes complete with an 11-foot, rust-proof handle; a detachable polyethylene float; and 50 feet of poly rope. 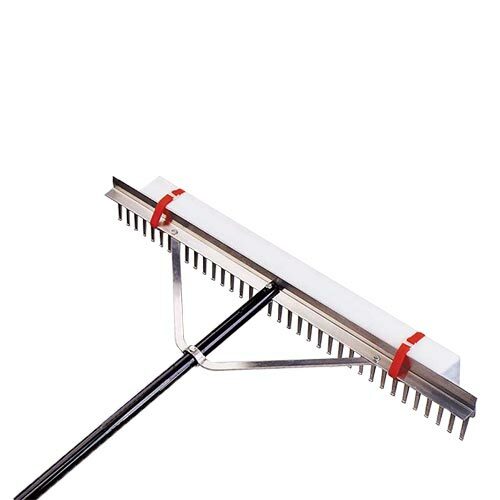 By shortening the handle and removing the float, you have a professional grade landscaping rake, perfect for grooming the beach! A 66-inch center extension is also available.